This week’s challenge is Ornate. 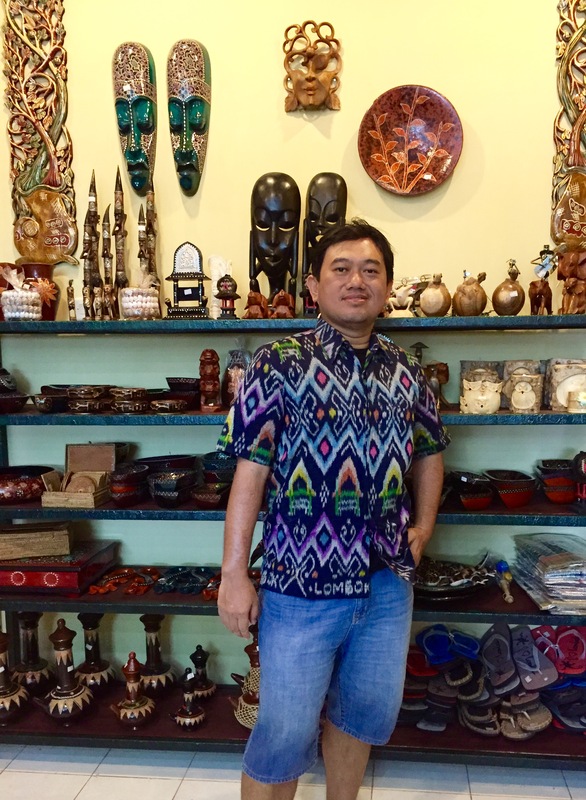 For this challenge I show you Sasambo and Lombok’s handicraft that has ornate design. MATARAM – Lombok Island located in West Nusa Tenggara (NTB) has a distinct batik named as sasambo. Sasambo derives from three big tribes in Lombok. Sa from Sasak tribe, Sam for Samawa tribe (Samawa is people from Sumbawa) and Bo from Bojo tribe (Bojo is people from Bima). The pattern of Sasambo is traditional house from Sasak, Samawa, and Bojo. It also portrays the picture of red pepper and lizards, the local animal from Lombok. eh…. kalau gambar ini termasuk kategori ornate nggak mas? Ornate itu Orang Ternate. Ortega itu Orang Tegal Asli.